다음의 탑들에서의 난간 디자인을 살펴보라. 그 패턴들이 서로 똑같다. 원래 일본은 호오류우지(法隆寺)는 일본의 유명한 건축사가인 오오따 히로따로(太田博太郞)에 의하면 백제인에 의한 디자인일 것으로 추정된다. 그것은 실상사 백장암탑의 부조나 안압지에서 출토된 난간을 보아도 알 수 있는 것이라고 한국의 건축사가들은 말해 왔다. 그런데 근래에 나는 중국 소쩌우(蘇洲)의 시내에 寒山寺탑을 신축한 것을 보니 그 난간이 또한 같았다. 한산사는 일본에는 불교전파와 관련하여 일본의 지원을 받았다는 것이다. 그렇다면 그 난간 디자인의 원류는 백제가 아닌 중국일까? 아니면 백제인들이 일본에 구현한 1300년된 호오류우지를 보고 근래 중국에서 그 디자인을 인용한 것일까? 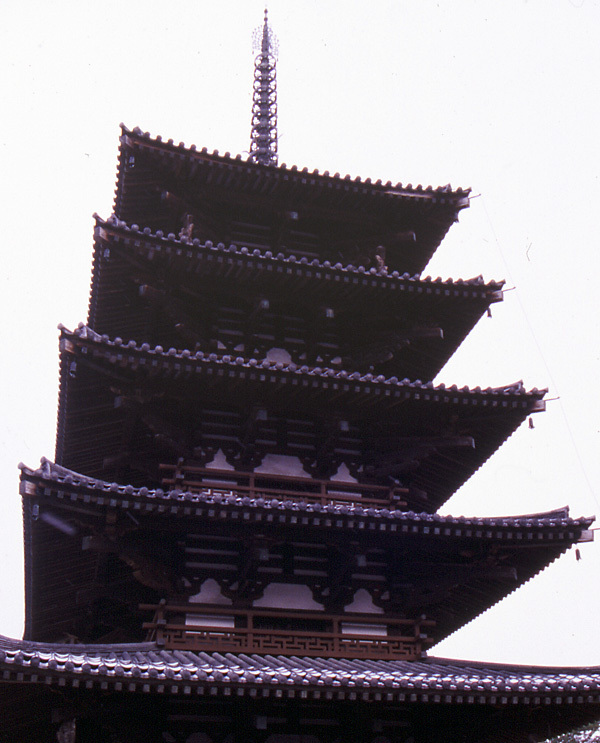 Look at the design of handrail of following pagodas. The patterns are almost the same. 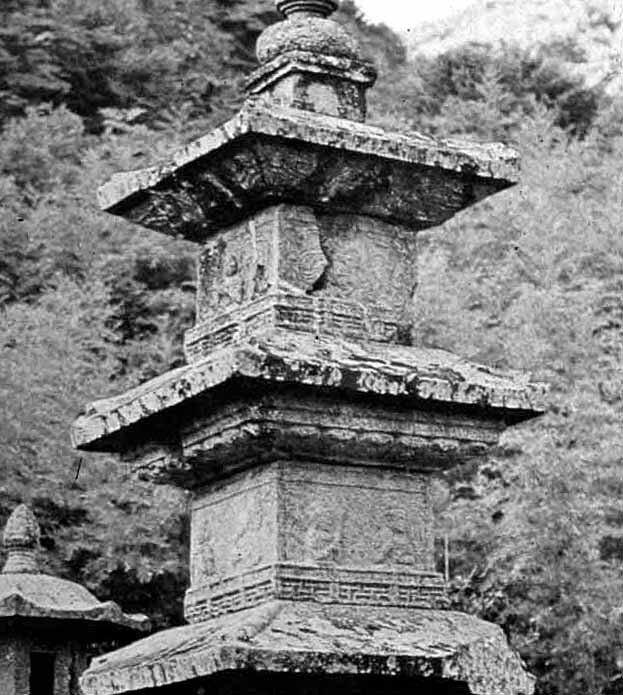 The orginal Horuji Temple was supposed to be built by architects, engineers and painters from Korea according to Ooda Hirodaro who is a famous architectural historian in Japan. 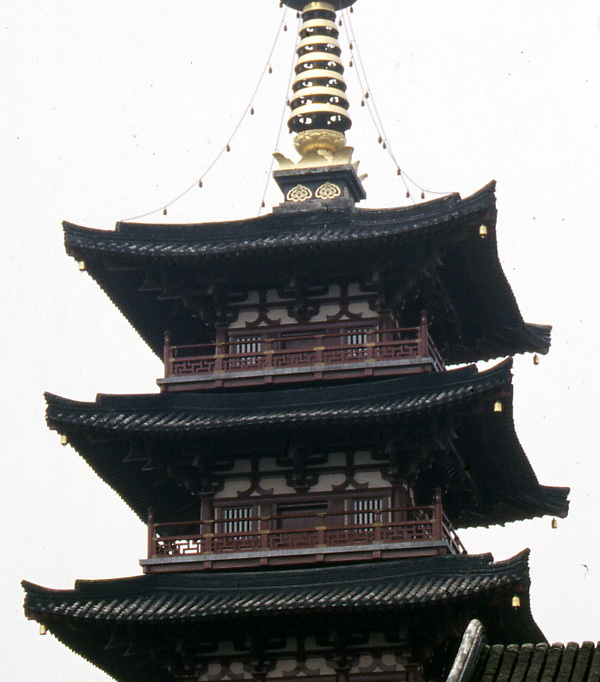 Recently a five-storied pagoda in Tang dynasty style next to Hansansa Temple was built in Suzhou, China. My question is which is the orginal country for the design of the same pattern handrail between Korea and China. In other words is the handrail pattern in recent Hansansa Pagoda in Suzhou a copy of more than 1300 years old Horyuji Pagoda in Nara or not?